I have a deep fascination with the ocean. While camping recently at Kalaloch Beach, I found myself standing on the bluff looking over the beach and the water late at night. I figured I’d take a late night stroll down the path to the beach and see if I could see the lighthouse on Destruction Island. But as I stood on the bluff and heard the pounding of the waves, and faintly saw the white caps, I was paralyzed with fear. Not only was I not going down that beach path, but I felt the sudden urge to get away from the bluff as well – almost as if not being able to see the ocean would make everything all right. Though even at camp, I could still hear the roar. A rip tide changed Craig’s viewpoint on the ocean when he was in high school. 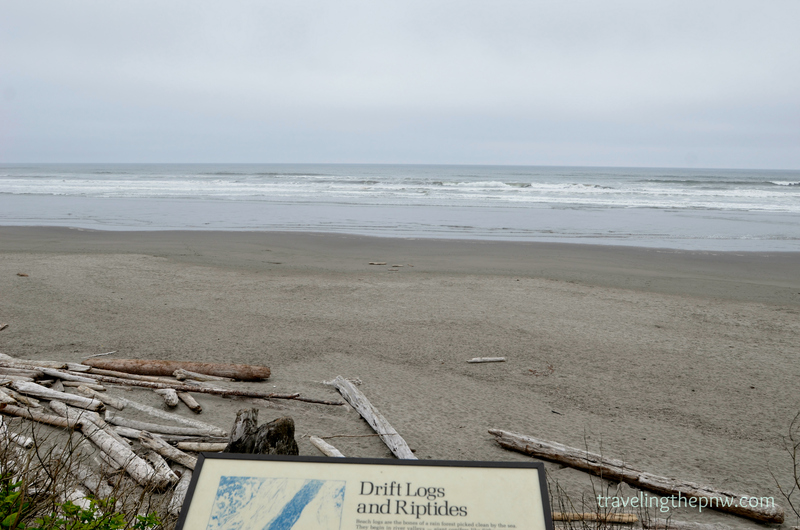 Needless to say, when we were camping recently at Kalaloch Beach, we didn’t test out the water – not because of riptides, rather because it was freezing. From the beauty of the water, to the way the sun melts into it each night, to the sound and look of waves crashing on beaches and rocks. I’m terrified of the ocean. It’s awesome power is horrifying to me. It’s endless horizon is more than my mind can comprehend at times. The thought of being on a ship of any size in the middle of the ocean gives me chills just writing that sentence. That doesn’t even bring up the idea of giant sea creatures swimming around by my feet (sorry, random fear of fish touching my feet while swimming). Part of Craig’s fear of the ocean is the possibility of sea creatures touching him. 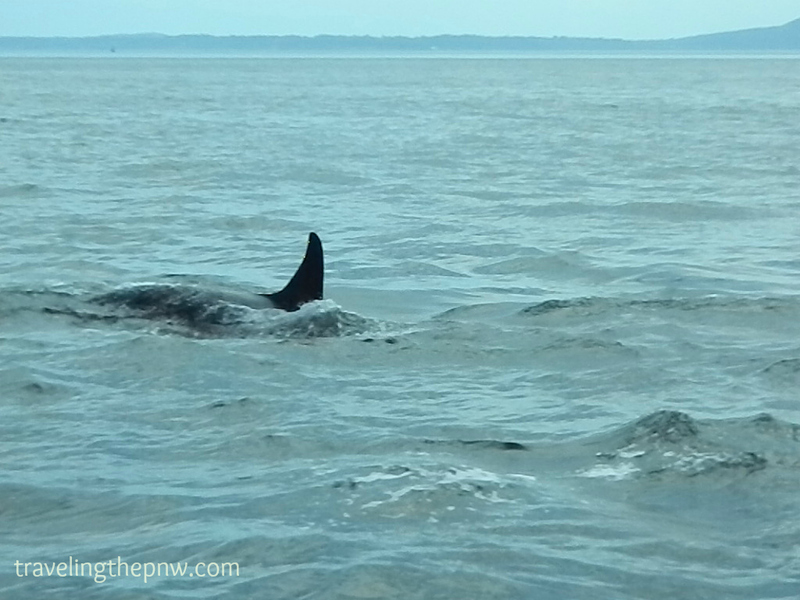 Can you imagine an Orca swimming nearby? That would be awesome and terrifying! My first memory of the ocean was as a boy in California. I was traveling with my mother, Robinette, my aunt, Rosemary, and my sister, Olivia, to visit relatives in the Bay Area. My mom grew up going to the beach in Santa Cruz, so she took us down there. All I remember was wind, huge waves and lots and lots of sand. No California dreamin’ for me, apparently. 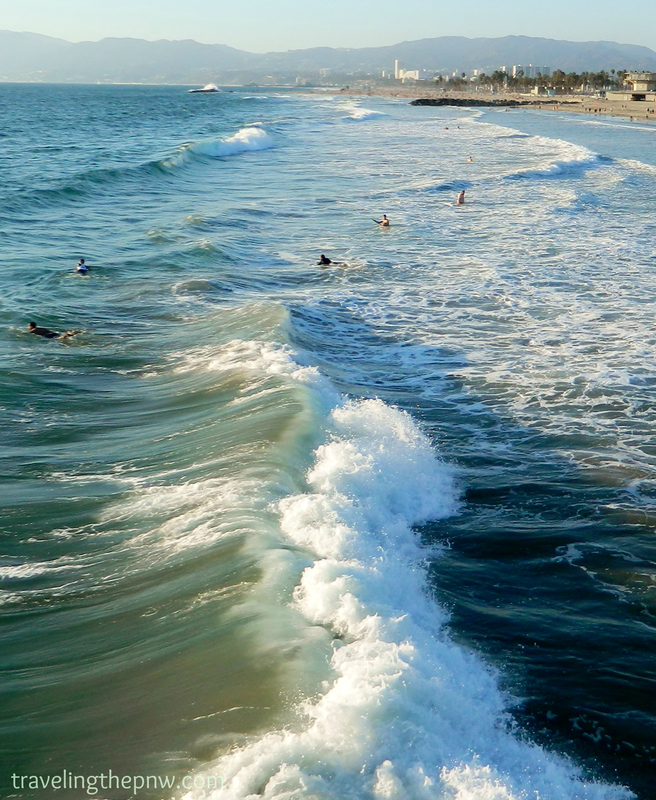 Huge waves, like this one breaking at Venice Beach in California, are a blast to play in, especially at warm weather beaches. Growing up in Kirkland, we swam a lot in Lake Washington. Swimming in a lake is peaceful. There are rarely waves, it is relatively warm and about the worst thing you have to deal with is the gross grass touching the bottom of your feet near the docks. 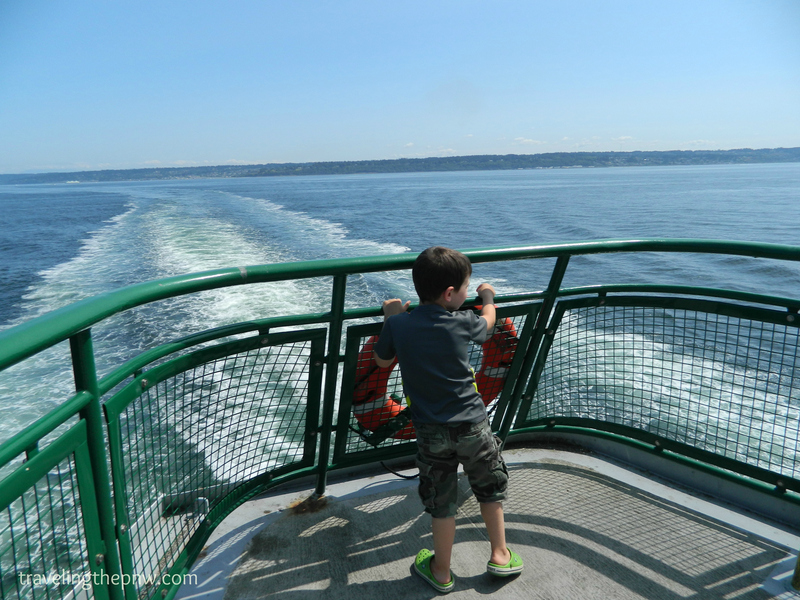 Our nephew Emmett showing no fear while standing at the back of a Washington state ferry motoring through the Puget Sound. Swimming in the ocean is completely different. I remember the time on a mission trip to Mexico in 1994, when we went to Baja to enjoy a tropical beach for the first time. It was beautiful. Looked like the beach at the end of Shawshank Redemption. I was quickly taught to fear the ocean, however. While swimming with my buddies, I was caught in a mild riptide. Not the strongest swimmer, I was quickly going sideways rather than toward shore. Thankfully, my friend Gerry – a lifeguard – swam out and reeled me in. It was a good lesson that the ocean is not to be trifled with. As I grew older, I moved inland and the ocean became a memory more than anything. 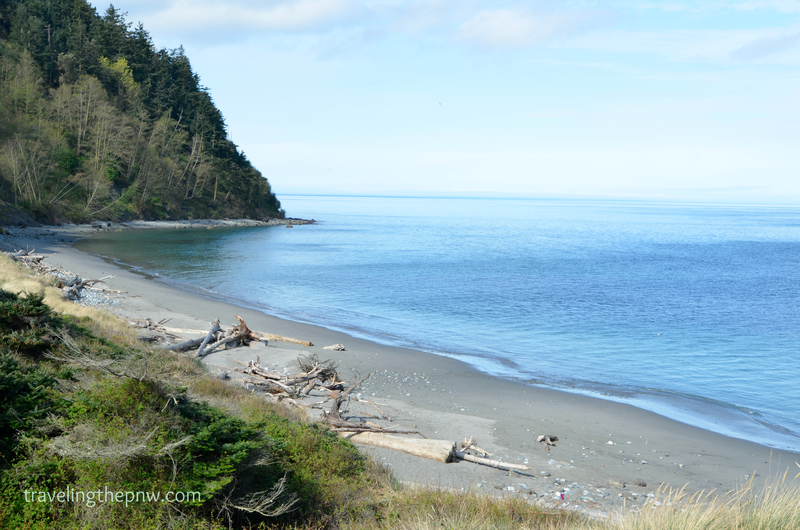 A very calm Pacific Ocean at Fort Worden State Park. I did visit the Gulf of Mexico near Corpus Christi while attending a wedding. My only memory is it felt like taking a warm bath. It certainly wasn’t the ice cold ocean of my home. Maybe I just prefer the Pacific off of the wild Olympic Coast. It is meant to be seen, but not touched. You could spend a day watching it batter the sea stacks near Kalaloch and Rialto and points further north. There is something spiritual about sitting in the fog in Olympic National Park watching waves crash onto the rocky beaches – as long as it is in daylight, at least for me. I would never swim in Lake Washington. The Sound and the ocean are polluted enough. I know people who swam at the beach on Juanita and got rashes from the yuck in there. I love the ocean, but I can’t go in again until my marrow recovers more. Thanks for reading, Josh. Juanita Beach is pretty gross, and the water was really stagnant on that end. We generally only swam off the dock at David E. Brink Park. The water was deeper there and less prone to giving out the rash. Good luck on your marrow recovery! Thanks! It is funny I made that comment because I remember sitting at gas works once when the ooze starting seeping up. I guess sometimes we have to risk it for the nice places.